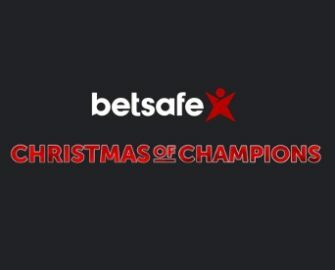 Betsafe – Christmas of Champions! Play for daily cash prizes, Free Spins and Bonuses fit for champions! Traditionally, Betsafe has had always the longest running Christmas Calendars of all online casinos. Good news! They repeated that feat this year. Starting 23rd November 2017, they invited all their players to join them in their festive celebrations and devour a Christmas treat every day until well into the new year. A weekly schedule will give players a forecast as to what sweet deals and rewards are waiting. Get in gear and party like a champion this year at Betsafe. We are already into the third week of their festive celebrations and the rewards just keep getting better. Log-in daily and go to the promotion page to unveil the next Christmas offer. Expect to find Free Spins, Big Spins or even Super Spins worth a whopping €3.00, cash races, tournaments with big prize pools, random reward drops, riddle rewards and much more. OPT-IN is required for all offers. The offers on the Christmas Calendar are open to players from all countries except Canada. Some countries are excluded from the Free/BIG/Super Spin offers, check the daily terms for more details. 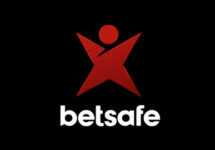 Betsafe casino bonus terms and conditions apply to all offers unless otherwise stated. 9th December 2017 – Slots Tournament: Play with minimum €0.50 on Jungle Spirit: Call of the Wild™ or Wolf Cub™ and score the highest equalized winnings over 20 consecutive spins to race into the TOP25 of the leader board. Prizes range from €25 – €200 in bonus money. The tournament runs until 23:59 CET on 11th December 2017. Prizes are credited by 18:00 CET on 12th December 2017. Wagering requirement is 35x bonus prize within seven days. Players from Belgium, China, Greece, Malaysia, The Netherlands, Portugal, Romania, Ukraine and Canada, or who have Canadian dollar as their registered currency are not eligible to take part. 10th December 2017 – Cash Stack Bonus: Play on TED and end the day in profit to receive a 50% winnings boost, up to €100, credited as bonus money by 18:00 the following day. Wagering requirement is 1x bonus amount within seven days. 11th December 2017 – Free Spins Drop: Wager a total of €50 | €350 | €800 on Shangri-La to instantly receive 50 Free Spins | 20 BIG Spins worth €1.00 each | 10 Super Spins worth €3.00 each on The Legend of Shangri-La: Cluster Pays™. Wagering requirement is 35x FS winnings within three days. 12th December 2017 – €1,500 Cash Race: Play actively with minimum €0.20 cash bets on Trolls Bridge between 18:01 – 23:59 CET to randomly trigger a cash reward from €10 – €250, instantly credited with no wagering requirements. A tournament tab within the game client contains all details such as remaining time and prizes. 13th December 2017 – Riddle & Wager Rewards: Betsafe will issue a first riddle after OPT-IN. Players guessing the right game and wagering €50 on the game will instantly receive 30 Free Spins worth €0.20 and a second riddle. Solving it and wagering 100 on the second game will be rewarded with 30 BIG spins worth €1.00 and the third riddle. Guessing the third game correctly and wagering €250 on it will be instantly rewarded with a further 50 BIG Spins worth €1.00 on the same game. Wagering requirement is 35x FS winnings within three days. 14th December 2017 – Live Casino Bonus Cashback: Deposit minimum €20 and play on any table in the Live Casino and receive a 20% bonus cashback on net losses, up to €150, credited within 48 hours. Wagering requirement is 10x bonus within seven days. 15th December 2017 – Mobile Happy Hours: Claim a 25% bonus on your available balance or a new deposit of minimum €20, up to €100. Wagering requirement is 35x bonus withing seven days.